Castaneto, Gutang Take MILO-Laoag | JustRunLah! LAOAG CITY – The 41st National MILO Marathon continued its search for participants with the successful staging of the Laoag City qualifiers Sunday (July 23) at the Don Mariano Marcos Stadium. Veteran runners Cesar Castaneto and Silamie Apolistar-Gutang led the pack of those who made the grade for the National Finals set for December 3 in Cebu City. 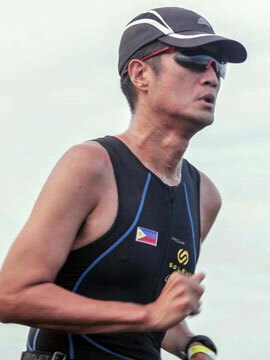 Castaneto, the back to back winner of the qualifiers hosted by Dagupan in 2015 and 2016, led the way in the Men’s Division with a time of 1:14:47 on the 21-kilometer route. Castaneto left behind Second Placer Ricky Gagarin (1:18:40) and Third Placer Archie Patubo (1:21:44) to battle it out. Gutang, a frequent winner and podium finisher of fun runs in Metro Manila, topped the distaff side in 1:37:35. The duel for Second Place was more exciting with Maricris Melchor (1:51:11) edging out Marychiel Morales (1:52:25). Both champions received trophies, PHP 10,000.00 in cash and gift items from sponsors. Through the years, the MILO Marathon has grown to be the country’s most awaited and prestigious running event. With two regional qualifying races already in the books, the stage is set for the Metro Manila qualifiers at the SM Mall of Asia grounds in Pasay City this Sunday (July 30). The said leg is always in the biggest in terms of participation and athletes may opt to earn spots in the Cebu Nationals either through the 21 or 42-kilometer categories.